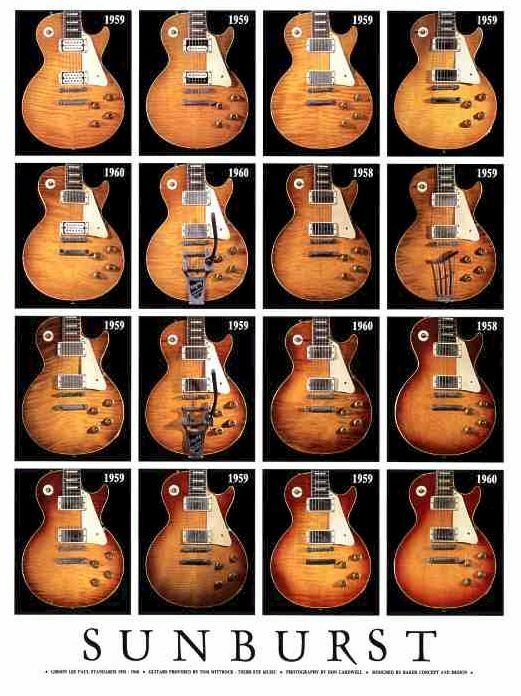 This beautiful, unique poster features 16 different old flametop Les Pauls from 1958-1960, often referred to as “Bursts”. It is a great item for any guitar lover. Suitable for framing, on heavy stock paper, 18″x24″. Available for $10.00 USD plus $5.00 postage and handling within the US. For orders outside the US, please inquire about postal rates. Shipped first class mail, quantity discounts are available.